DYNAMIK Seamless Surface – because it’s ‘WirksWORTH’ it! As Official Sports Flooring Supplier to Basketball England and England Netball, DYNAMIK has front line experience of what is needed for high performance sports arenas. But it is just as important to select the best flooring for Community Centres where multi-use and mixed-sport takes place. 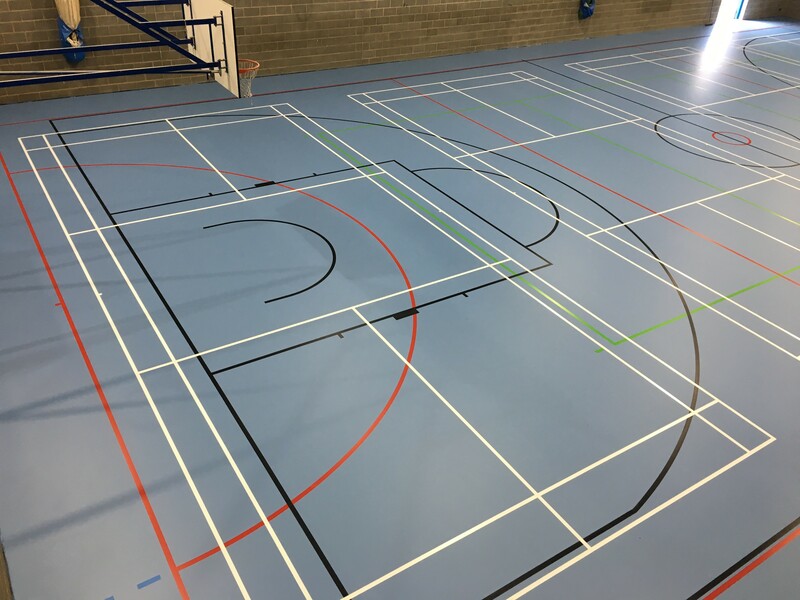 DYNAMIK work with a range of construction companies, architects, specifiers, designers, contractors, schools, colleges, universities and community groups to deliver the very best in sports flooring. We advocate the benefits of solid synthetic surfaces for exceptional durability and a seamless polyurethane (PU) surface, as installed by the Conica team at Wirksworth Leisure Centre, is far more suitable than a solid timber surface. Seamless PU reduces the effects of changes in temperature & moisture. Highly resistant to spillages as the surface is sealed and non-absorbent. High indentation resistance ideal for multi-use and multi-sport. Lower maintenance costs and easier to clean. Lower life-cycle costs as no need for sanding and sealing or re-lacquering. Surface protection optional unlike timber floor warranty requirements. DYNAMIK provide free of charge quotations and surveys which are carried out if you are looking to upgrade or maintain your facility.